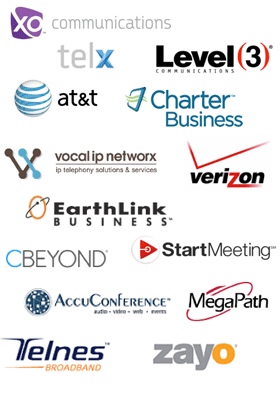 Our Partners - Kurtz Communications, Inc.
CenturyLink (formerly known as Qwest Communications International, Inc.) is a leader in Internet-based data, voice, image and multimedia communications. It combines one of the world’s fastest, most powerful networks with a leading line-up of Web hosting services, managed solutions, high-speed Internet access, private networks, wireless data and other technologies and applications that are redefining global communications around the power and potential of the Internet. CenturyLink continually evolves its broadband applications and services and geographical reach to meet the demands of businesses of every size, government agencies and consumers. By utilizing the industry-leading CenturyLink network and nationwide CyberCenterTM facilities, the company provides cutting-edge services such as complex Web hosting and managed network services. CenturyLink's OC-192c IP network, designed with the latest advances in network technology for speed and efficiency, spans more than 104,000 miles around the world. Being one of the largest and most robust networks in North America, it is enabling new technologies, services and solutions that benefit businesses and consumers worldwide. Designed with state-of-the-art fiber and optical equipment, the CenturyLink network has the capacity to send multimedia content – data, images and video – as seamlessly as voice. The foundation for CenturyLink's broadband applications and services, the network has enabled the company to grow from the 25th to the third largest carrier of Internet traffic. CenturyLink's business customer base includes 40 of the Fortune 50, leading dot.com companies, top Internet providers, and large government agency accounts. For more information on CenturyLink, please visit www.centurylink.com/about. Kurtz Communications is a CenturyLink Premier Channel Alliance Member and is your resource for CenturyLink products and solutions including Web hosting, high-speed Internet access, voice solutions and network security services. Our cooperative relationship with CenturyLink allows us to provide you with the latest innovations in technology and responsive customer service. We can analyze your needs, combining CenturyLink's industry-leading services with other communication products to create total solutions for your company. For information on our other Partners please contact our Corporate Office at 866-425-8789.